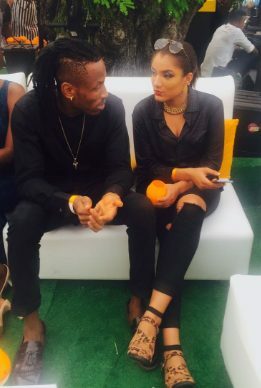 Musician, Mr. 2kay who was reportedly in a relationship with Big Brother Naija housemate, Gifty Powers, and also sang a breakup song for her, has come out to say what exactly made them part ways. He said they broke up because of their zodiac signs. The ‘Who no like better thing’ crooner, Mr. 2Kay, In an exclusive chat with Channels TV, revealed his high regard for astrology and advised that adequate knowledge of a potential partner’s zodiac sign and its attributes should be acquired before the beginning of a serious relationship. SEE ALSO Blac Chyna Says After She Marries Rob, She’d Change Her Name To “Angela Kardashian”. “Zodiac signs are very important for us to know, if your zodiac signs don’t really match then it doesn’t really match because some people are not matched, they are just wasting their time with each other”.